Edinburgh International Festival returns for its 73rd year on 2 – 26 August 2019, bringing the best of theater, music and dance from across the world to Scotland's capital. The program features 93 events, with 293 performances across 17 venues and 2600 artists from 40 nations including Australia, Nigeria, Canada, Belgium, China, Mali, Holland, South Africa, New Zealand, France, Germany, India, Scotland and the rest of the UK. "At the end of the first Edinburgh International Festival in 1947, conductor Bruno Walter wrote that the Festival has succeeded because ‘it was of the utmost importance and most to be desired that all the ties, which had been torn, should be re-united'. The 2019 International Festival launch is framed against a backdrop of division and confusion. With artists and audiences from all over the world gathering to celebrate each other's music, theatre, dance and art, we hope that the 2019 International Festival will offer a refreshing dose of generosity, inclusiveness and optimism". "One of Scotland's strengths is our concentration of magnificent cultural festivals, none more so than the Edinburgh International Festival, which brings the finest performers and ensembles from Scotland and across the world to our Capital city. "This year the city will boast an unparalleled celebration of the performing arts with an unbeatable programme featuring dance, opera, music and theatre. I am particularly pleased that there will be a celebration of the work of Sir James MacMillan, the pre-eminent Scottish composer of his generation. Sir James MacMillan at 60 is backed by £150,000 from the Scottish Government's EXPO fund. "The Festival's impact extends beyond its August programme. Its community engagement, creative learning and professional development programmes run throughout the year, reaching the widest possible audiences and contributing to the cultural and social life of Edinburgh and Scotland, in part supported by the Scottish Government's contribution to the PLACE programme". 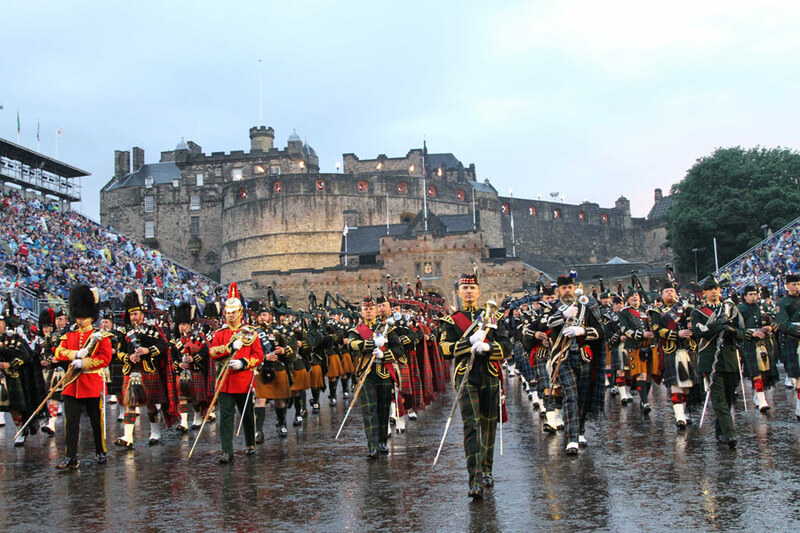 "One of Scotland's most remarkable cultural events, the Edinburgh International Festival welcomes the world, bringing the best of global culture to the city in a shared celebration of artistic excellence and cultural exchange. "For Scottish and international talent alike, the Festival provides an essential platform to create and present extraordinary work and inspire audiences. This year, we are particularly pleased to be supporting the International Festival through the new PLACE funding initiative, helping to deepen and broaden global connections between artists and audiences. "From Tynecastle Park to the heart of the city centre and beyond, the International Festival proves once again that Edinburgh is the only place to be in August. Creative Scotland is proud to support an event that is the envy of the world". "This summer, the world's greatest artists and ensembles will once again come together in our capital to celebrate the 72nd year of one of the biggest arts Festivals in the world. "The Council and the city have championed the Festival since its inception in 1947 and more than 70 years on, the event continues to bring thousands of people together from all over Scotland and the world in celebration of arts and culture. "From opera to the Los Angeles Philharmonic, Sir Ian McKellen to Jarvis Cocker, the 2019 programme will feature 2600 artists in a diverse mix of music, dance and theatre. This year, I am delighted to see the launch of You Are Here funded by the PLACE programme, a Council, Scottish Government and festivals partnership fund supporting creative programming, community engagement and skills development. It is also great to see the Festival return to Leith Theatre following the success of last year's concerts – it has a great line up. "With such a mix of community events and Scottish artists, and a truly international programme of opera, dance and theatre this looks like it's going to be one of the most exciting International Festival programmes yet". The world's foremost classical musicians gather once more in Edinburgh with 46 concerts and recitals. The Usher Hall series presents 20 concerts featuring the world's greatest orchestras and soloists in Edinburgh's finest concert hall; the Queen's Hall hosts 19 intimate morning recitals; while St Cecilia's Hall - Scotland's oldest purpose-built concert hall – is home to 8 early music recitals. The Los Angeles Philharmonic, with Music Director Gustavo Dudamel, is the resident company at the 2019 International Festival, performing across three evenings as part of a special international tour celebrating the orchestra's centenary year. It plays three contrasting concerts including the Aberdeen Standard Investments Opening Event at Tynecastle Park celebrating the movie music of Hollywood, and two Usher Hall concerts, performing Mahler's Symphony No 2 with the Edinburgh Festival Chorus, and the European premiere of John Adams' new work Must the Devil Have All the Good Tunes? with pianist Yuja Wang. The LA Phil is joined by young people from Scotland and the US throughout its Festival residency, with members of YOLA (Youth Orchestra of Los Angeles) participating in the Aberdeen Standard Investments Opening Event at Tynecastle Park. The LA Phil is also collaborating with Scottish young people from the Big Noise Orchestra – part of Sistema Scotland – culminating in a free open rehearsal in the Usher Hall led by Gustavo Dudamel on Sunday 4 August. Visiting orchestras include London Symphony Orchestra with Sir Simon Rattle, Orchestre de Paris – returning to the Festival for the first time in 30 years - with Daniel Harding, BBC Symphony Orchestra with Semyon Bychkov, Shanghai Symphony Orchestra making its International Festival debut with conductor Long Yu, Hallé with Sir Mark Elder and the National Youth Orchestra of the USA. All three of Scotland's National Orchestras – Scottish Chamber Orchestra, Royal Scottish National Orchestra and BBC Scottish Symphony Orchestra – perform at the 2019 Festival. On the podium, acclaimed conductors include Sir Andrew Davis, Edward Gardner, Joana Carneiro, Sir Antonio Pappano and Harry Christophers. Major soloists performing in orchestral works and recitals include Sheku Kanneh-Mason, performing with his sister Isata, Andreas Ottensamer, Alisa Weilerstein, Brett Dean, Rachel Podger, Antoine Tamestit, Colin Currie and world-leading pianists including Yuja Wang, Jeremy Denk, Angela Hewitt, Kirill Gerstein and Beatrice Rana. Ensembles include The King Singer's, The Sixteen, Cuarteto Casals, Europa Galante, Meta4, Doric String Quartet, Dunedin Consort, Nash Ensemble and Amatis Piano Trio. World-class singers performing at the Festival include Joyce DiDonato, Alice Coote, Michael Fabiano, Roderick Williams, Florian Boesch, Miah Persson, Llŷr Williams, Lawrence Brownlee, Michael Volle, Anna Larsson and emerging talents Christina Gansch, Natalya Romaniw and Christiane Karg. A special series of five concerts, Sir James MacMillan at 60, celebrates his career and his long-held relationship with the International Festival. The concerts explore the full range of MacMillan's varied output, with a major world premiere, as well as UK and Scottish premieres. Performances include the organ concerto A Scotch Bestiary, concerto for orchestra Woman of the Apocalypse, chamber work Fourteen Little Pictures, Symphony No 2 conducted by MacMillan himself, and his recent oratorio, All the Hills and Vales Along. The series culminates in the world premiere of his Symphony No 5, Le grand inconnu, a major new choral symphony performed by the Scottish Chamber Orchestra with The Sixteen, conducted by Harry Christophers. Choral performances include four concerts featuring the Edinburgh Festival Chorus, the International Festival's exceptional choir, who welcome new Chorus Director Aidan Oliver to his first Festival this year. The chorus performs Mahler's Symphony No 2 with Gustavo Dudamel and the LA Phil in the Opening Concert, with Edward Gardner and the RSNO in Quickening by Sir James MacMillan, Elgar's The Kingdom with Sir Mark Elder and the Hallé, and Daniel Harding and the Orchestre de Paris in Britten's War Requiem. Over 400,000 fireworks burst into the sky above Edinburgh Castle, choreographed to live music from the Scottish Chamber Orchestra for the Virgin Money Fireworks Concert led by conductor Natalie Murray Beale.